Plant evergreens – Evergreens are a classic wintertime look. They come in many shades of green, as well as yellow and blue. Regardless of the ones you choose, they’re handsome and impressive plants for the season. Plant deciduous trees – Deciduous trees may shed their leaves, but that doesn’t mean they still can’t look stunning this time of year. And if it happens to snow, their dark-colored bark creates a striking contrast. 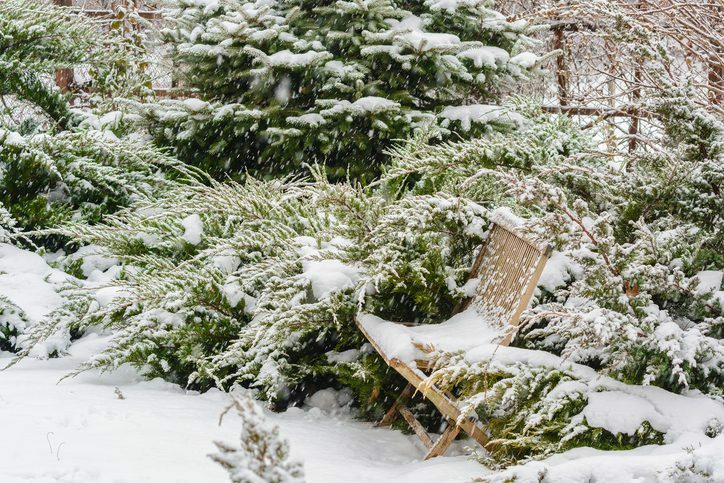 If you want your yard to stand out in winter, these are the trees that will make it happen. Consider adding outdoor structures – A well-placed gazebo or bench gives you functional ways to enjoy your yard. You may be able to get these structures installed quicker during the off-season. And there’s an added bonus: You’ll be able to use them on milder winter days as we head toward spring. Plant perennials – Perennials add all sorts of charm to your property. Some varieties resemble evergreens with their low and gentle foliage, while others add color all year long. Add a touch of spring – Give your property some hints of freshness by using items that are typically used in the spring and summer. Put winter plants in a wheelbarrow or hanging baskets. Make sure that these types of planters are able to survive the winter weather. Plant berry bushes – Berries add a bright pop of color to yards or gardens in the winter. Not only are they eye catching for us, but they also attract winter wildlife. Plant berry bushes and you’ll be delighted throughout the season. Add beauty to your property this winter by calling Rolling Hills Nursery & Landscaping for landscaping in Rock Hill, SC. Our landscapers can advise you on the best plants and trees that will thrive during this time of year.